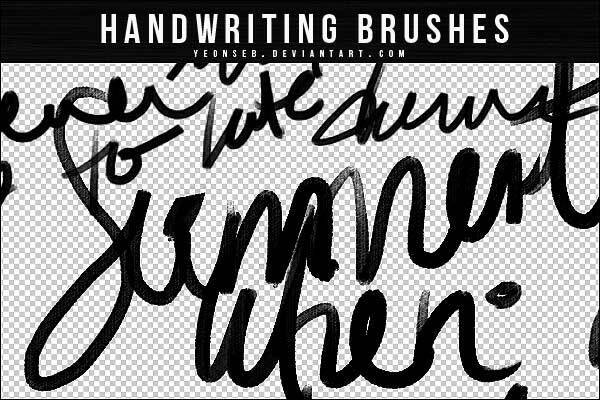 Free handwriting Photoshop brushes can help you save a lot of time if you’re working on a project with a more “handmade” touch. There are plenty of free Photoshop brushes on the web and the request for the finest brushes for Photoshop is increasing more and more. Designers use brushes for different graphic design projects and photography post-processing and having a good collection of free brushes to choose from will definitely be a time-saver. Brushes are incredibly handy when adding design embellishments and other design elements, but sometimes it may be difficult to find the perfect Photoshop brush that would completely fit your needs. That is why we’ve decided to gather here a huge collection with over 350 free handwriting Photoshop brushes. 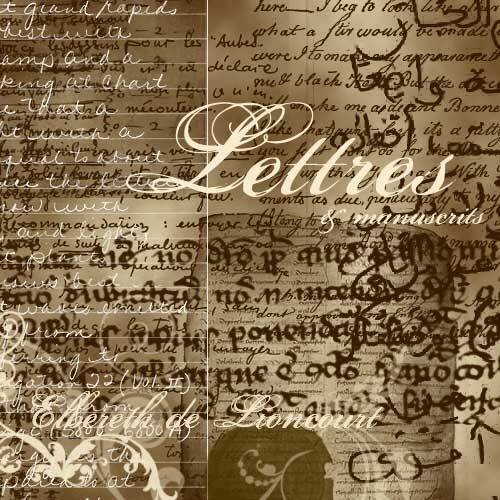 Check out this round-up with letters, alphabet, words, lyrics and other free handwriting Photoshop brushes and tell us what you think about it! Enjoy! P.S. Want more? Check out these free handwritten fonts! In this link, you will find 26 individual brushes that will surely ease your work when creating vintage designs. This set contains several gorgeous Photoshop brushes, all of which are examples of classic handwriting. Using these brushes will automatically improve the way you design vintage design projects. The best part is that they are completely free to use for personal use. You can use them commercially as well, but you should first get in touch with the creators! You might also want to check some of their recently published resources. Here’s another cool handwriting brush set. It contains small pencil handwriting brushes that are best suited for Photoshop 7, but they also work with earlier versions. This set comes with 138 brushes which contain the most important letters and symbols, and much more. You can try this brushes with a smaller opacity, about 80% and they look best on colored or textured paper. 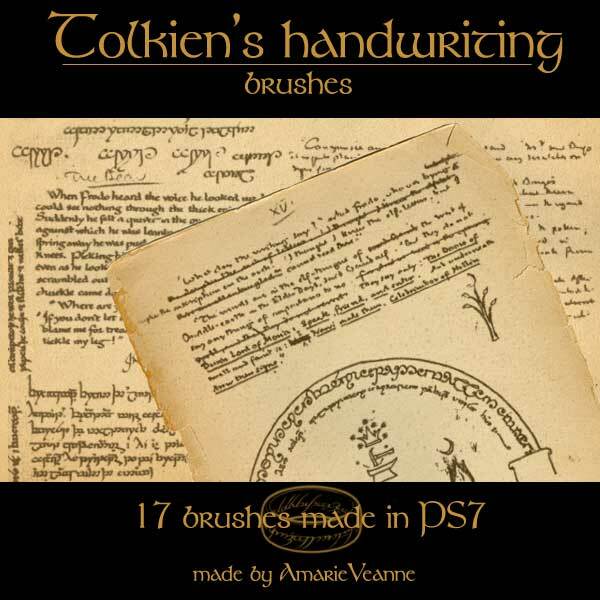 These are some gorgeous brushes inspired of Tolkien’s original handwriting. The pack contains 17 neat brushes made in PS7. Perfect for all the LOTR fans out there. You can use them on prints and other projects. The creator of these amazing brushes would love to see you’ve done with them! These pretty brushes are free for personal and commercial use. They were designed in a bigger size for more coverage. All of them were created in PS 7. These brushes would look great in vintage design projects. This amazing set is available for download and it comes with 5 new grunge brushes for you to use as you see fit. The brushes were designed in Photoshop CS. They have not been tested in previous versions of Photoshop. The Vintage Script Brush Sampler would be a great asset in your freebies arsenal so make sure to get it while it’s hot! This is a set of 14 high-quality Photoshop brushes that you can use to add a vintage touch to your projects. You can use this in your work to create stunning designs and to make your projects more compelling. These brushes are perfect if you want to expand your collection. The set is available with four different brushes which are compatible with PS 7. These brushes are amazing and they look like old letters. You can use them in many creative ways. Unfortunately, these brushes do not work with previous versions of Photoshop. Nevertheless, this pack is incredible! This pack of handwriting brushes contains 12 amazing items which would look great in both your freebies arsenal and your projects. The pack is 1.8 MB. This is a huge collection of big brushes which you will definitely love. The pack contains brushes with different handwritings. Some are old others are Arabian, Chinese and so much more! All in all, this set contains various handwritten elements. You’ll surely find the one you need in this set. Here’s another cool set of vintage handwriting brushes which you can use to give your projects a retro look. This is an amazing pack of 20 hi-resolution Photoshop brushes. The set contains handwriting and stamps from old letters. This set contains 6 awesome brushes which you’ll surely want to download immediately. These calligraphy-style brushes are available in several languages, and thanks to that, you will most likely find the one you need. They also include fragments from classic literature such as Dickens, Bronte, Cooper, and much more. This is a free to download set of brushes. 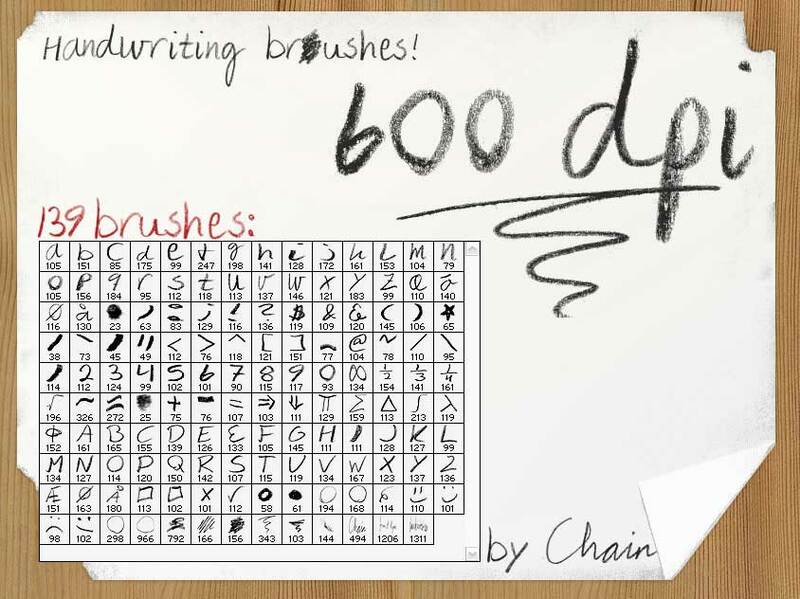 The pack contains brushes made up of multiple handwriting samples. Use this set with confidence to add a vintage effect to your creative projects. 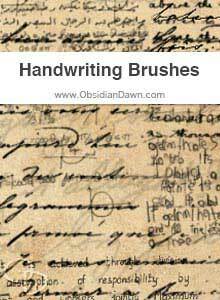 This collection of handwriting brushes contains 47 beautiful items which can be integrated into your own projects. They look great and they’re also very diverse. These brushes work with Photoshop 7+. 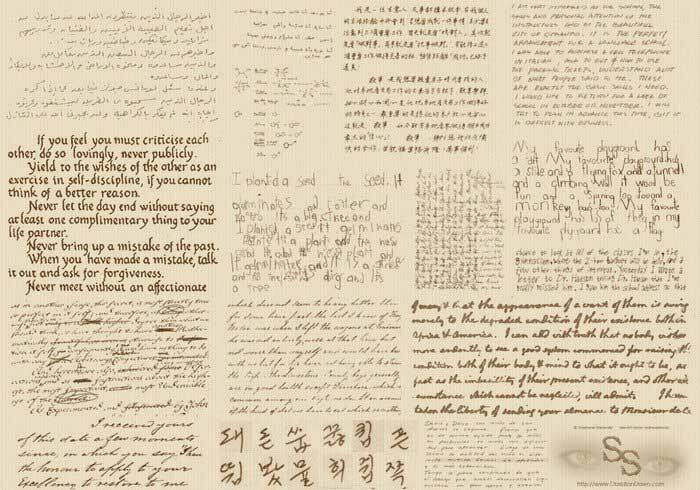 This is a very creative handwriting pack that was made out of arbitrary lyrics. The set comes with 52 beautiful brushes all of which look great and elegant. This amazing set would look great in your collection and thanks to its diverse brushes, you will surely find the one you need. 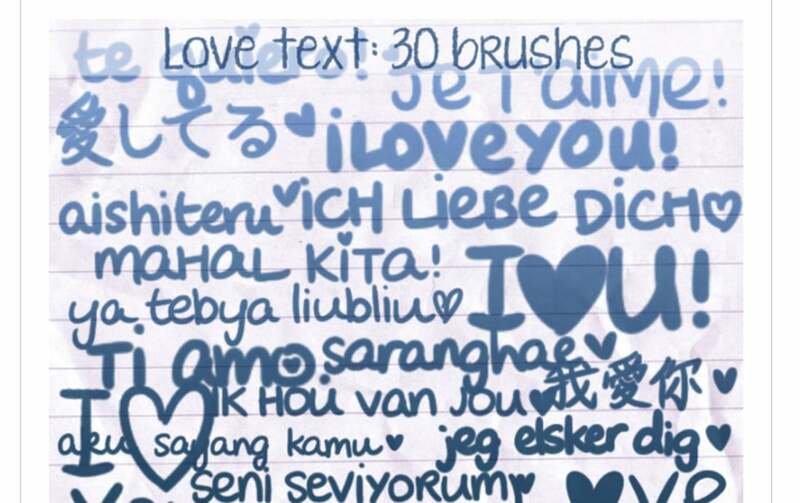 This set contains 30 handwritten text brushes that say “I love you” in different languages. All of them look great and will make you want to use them in all your projects. They’ll probably teach you how to say “I love you” in 30 different languages if you will use them that much. This pack includes some exquisite Photoshop and GIMP brushes which you can use in your vintage projects. The set comes with different handwriting samples. This free brush was done for a project in which the designer had to recreate a piece of art that had been ruined by water. 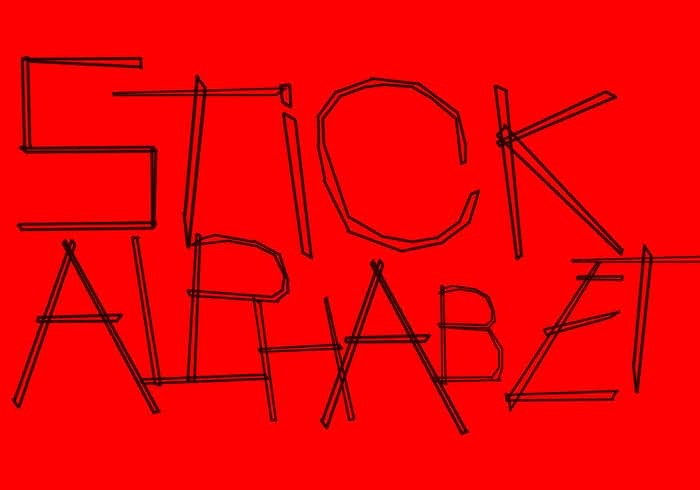 This is how the Stick Alphabet resulted. The lettering looks like it was hand-drawn, which is great. You can use this unique brush set to make amazing projects. 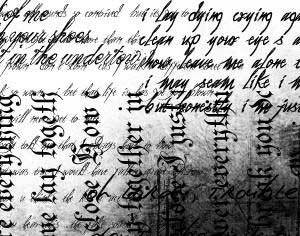 This handwriting Photoshop brush is created by Obsidian Dawn. 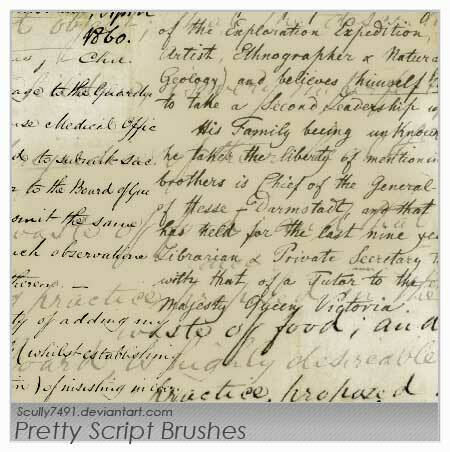 In this set, you will find various handwritten brushes. Some of them contain texts from other languages. You can use this for personal projects only. 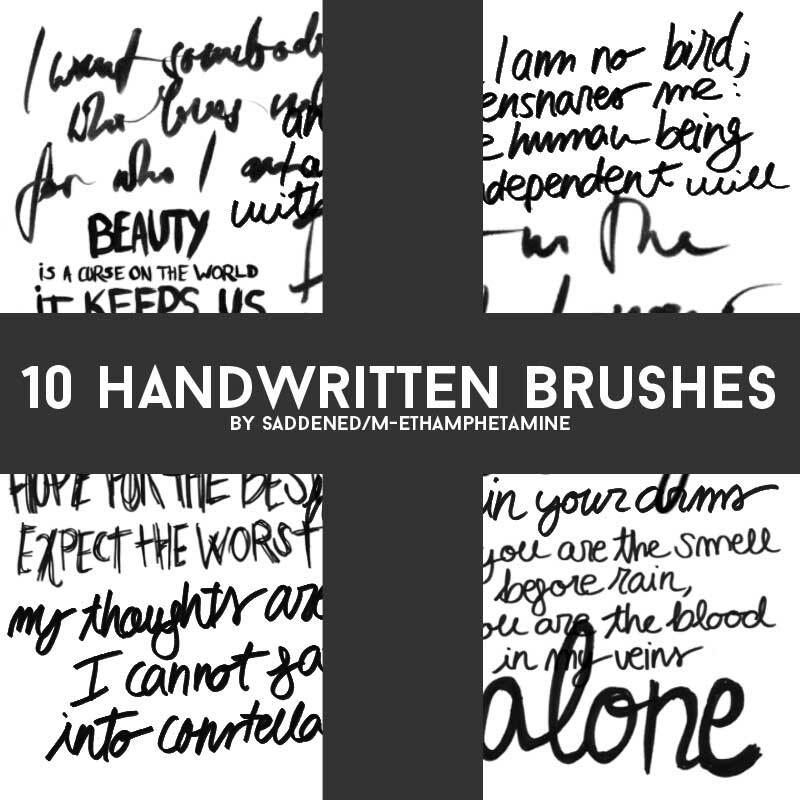 This cool set comes with ten handwritten brushes that will make your projects look great. The textures used to make this brush pack belong to their rightful owner. 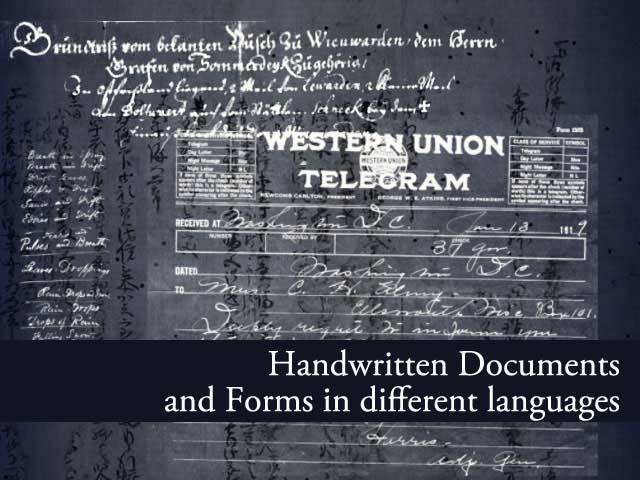 This great set contains various handwritten documents and forms, all of which come in multiple languages. This set is amazing and can’t miss from your arsenal. 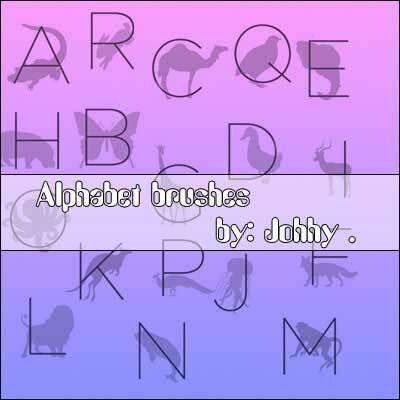 This set contains brushes for the whole alphabet, with an animal-themed design. 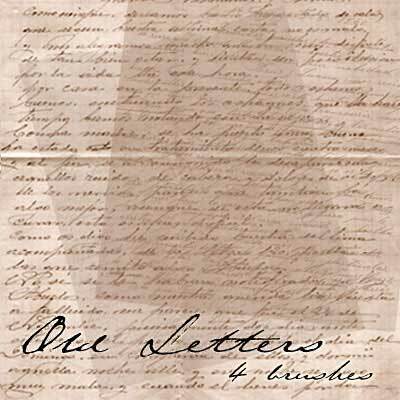 This example is perfect for those who spend a lot of time into writing the perfect letters. Each letter represents a different animal.